Li Keqiang (born 1 July 1955) is the Premier of the People's Republic of China and party secretary of the State Council. In his capacity as Premier, Li is China's head of government as well as the leading figure behind its economic policy. He is also the second ranked member of the CPC Politburo Standing Committee, the de facto highest decision-making body of the country. 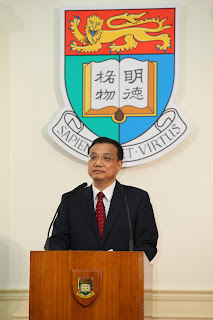 From 2008 to 2013 Li served as the Executive Vice-Premier under then-Premier Wen Jiabao. During this tenure, Li's official portfolio included economic development, price controls, finance, climate change, and macroeconomic management. Li rose through the party ranks through the Communist Youth League. From 1998 to 2004, Li served as the Governor of Henan and the province's Party secretary, and then the Liaoning party secretary, an office that made him first-in-charge in that province. Li is a leading figure of the "fifth generation" (Xi-Li Administration) of Communist Party leadership. Li Keqiang was born on 1 July 1955 in Dingyuan County, Anhui Province. His father was a local official in Anhui. Li graduated from high school in 1974, during the Cultural Revolution, and was sent for rural labour in Fengyang County, Anhui, where he eventually joined the Communist Party of China and made his way to becoming the party head of the local production team. He was awarded with the honour of Outstanding Individual in the Study of Mao Zedong Thought during this time. He refused his father's offer of grooming him for the local county's party leadership and entered the School of Law at Peking University, where he received his LLB and became the Chairman of the University's Student Council. He would go on to acquire a PhD in Economics. In 1980 he became the Communist Youth League Secretary at Peking University. He entered the top leadership of the Communist Youth League (CYL) in 1982 as a member of its Secretariat, and has worked closely with current General Secretary Hu Jintao, who also rose through the ranks of the CYL, ever since. Li became the organization's General Secretary in 1993, and served until 1998. He is a representative member of the first generation to have risen from the CYL leadership. Li is married to Cheng Hong, a professor at Capital University of Economics and Business in Beijing. His father-in-law was once the vice-secretary of the Communist Youth League Central Committee. 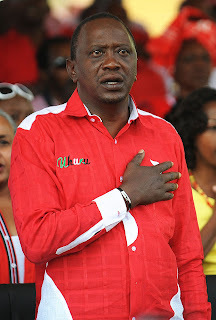 Uhuru Muigai Kenyatta (born 26 October 1961) is a Kenyan politician who was elected as President of Kenya in March 2013. Uhuru Kenyatta is also an accused suspect for crimes against humanity by the International Criminal Court at the Hague, Netherlands. He has served in the government of Kenya as Deputy Prime Minister since 2008 and was also the Member of Parliament for Gatundu South Constituency. Kenyatta also served as Chairman of Kenya African National Union (KANU), which was a part of the Party of National Unity (PNU). Kenyatta is the son of Jomo Kenyatta, Kenya's first president (1964–1978). His origin in Kenya's Kikuyu tribe has played a key role in his political life. His name, Uhuru, is Swahili for "freedom". He attended St Mary's School in Nairobi. From there he went on to study political science at Amherst College in the United States. Nominated to Parliament in 2001, he became Minister for Local Government under President Daniel arap Moi and, despite his political inexperience, was favored by President Moi as his successor; Kenyatta ran as KANU's candidate in the December 2002 presidential election, but lost to opposition candidate Mwai Kibaki by a large margin. He subsequently became Leader of the Opposition in Parliament. He backed Kibaki for re-election in the December 2007 presidential election and was named Minister of Local Government by Kibaki in January 2008, before becoming Deputy Prime Minister and Minister of Trade in April 2008 as part of a coalition government. Subsequently Kenyatta was Minister of Finance from 2009 to 2012, while remaining Deputy Prime Minister. Accused by the International Criminal Court (ICC) of committing crimes against humanity in relation to the violent aftermath of the 2007 election, he resigned as Minister of Finance on 26 January 2012. Francis (born Jorge Mario Bergoglio on 17 December 1936) is the 266th and current pope of the Catholic Church, elected on 13 March 2013. As such, he is both head of the Church and Sovereign of the Vatican City State. A native of Buenos Aires, Argentina, he was ordained as a priest in 1969. He served as head of the Society of Jesus in Argentina from 1973 to 1979. In 1998 he became the Archbishop of Buenos Aires, and in 2001 a cardinal. 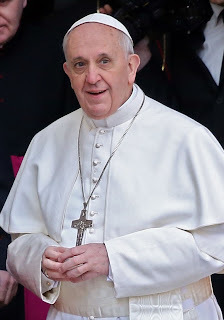 Following the resignation of his predecessor, Pope Benedict XVI, on 28 February 2013, the conclave elected Bergoglio, who chose the papal name Franciscus in honour of Saint Francis of Assisi. He is the first pope to be a Jesuit, to come from the Americas, and to come from the Southern Hemisphere. Francis is the first non-European pope since St. Gregory III, who died in 741. Jorge Mario Bergoglio was born in Buenos Aires, one of the five children of Mario José Bergoglio, a railway worker born in Portacomaro (Province of Asti) in Italy's Piedmont region, and his wife Regina María Sívori, a housewife born in Buenos Aires to a family of northern Italian (Piedmontese-Genoese) origin. Bergoglio has been a supporter of the San Lorenzo de Almagro football club since his childhood. He graduated from the technical secondary school Escuelas Técnicas No. 27, Hipólito Yrigoyen with the qualification of chemical technician. According to some sources (not including the Vatican), he earned a master's degree in chemistry from the University of Buenos Aires. At the age of 21, he decided to become a priest and began his religious studies, being eventually ordained in 1969. In the only known health crisis of his youth, he suffered from life-threatening pneumonia and cysts and had part of a lung removed shortly afterwards. According to Ukrainian Catholic Major Archbishop Sviatoslav Shevchuk, Bergoglio was mentored by Salesian Ukrainian Greek Catholic priest Stefan Czmil and knows the Byzantine liturgy well. Miloš Zeman (born 28 September 1944 in Kolín) is the president-elect of the Czech Republic. 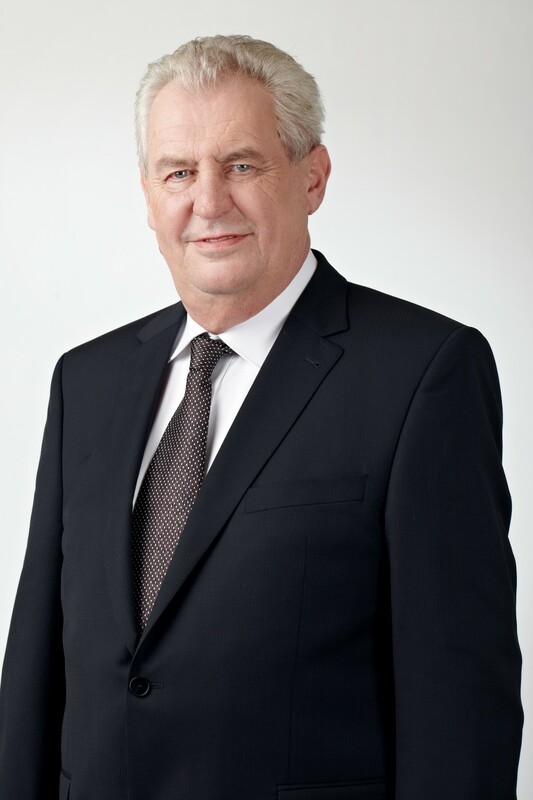 He served as the Prime Minister of the Czech Republic from 1998 to 2002. He was also leader of the Czech Social Democratic Party and served as Chairman of the Chamber of Deputies, the lower house of the Czech parliament, from 1996 to 1998. He was a frequent rival of Václav Klaus. Zeman transformed a weak Czech Social Democratic Party into one of the country's major parties along with the Civic Democratic Party. On 26 January, 2013, he was elected the President of the Czech Republic. His term will begin in March 2013. In April 2001, he was replaced by Vladimír Špidla as party leader. Zeman then retired and moved to live in the countryside (Vysočina Region). His nomination for Czech president failed at the 2003 presidential election (to Václav Klaus), due to party disunity. Zeman became an outspoken critic of former party's leaders. He is known for his sharp, even insulting, speeches and wit. He left the Czech Social Democratic Party on 21 March 2007 due to conflicts with the then leader and chairman of the Czech Social Democratic Party Jiří Paroubek. Zeman has a similar view on global warming as his former opponent Klaus. According to his opinion, human activity probably could not influence global warming. In October 2009, he founded the Party of Civic Rights – Zemanovci. In June 2011, Zeman, referring to Islam, said "The enemy is the anti-civilisation spreading from North Africa to Indonesia. Two billion people live in it." He likened Muslims who believe in the Qur'an to antisemitic and racist Nazis. A complaint was lodged against him following the comments. Mathieu Ngudjolo Chui (born 8 October 1970) is a colonel in the Congolese army and a former senior commander of the National Integrationist Front (FNI) and the Patriotic Resistance Force in Ituri (FRPI). 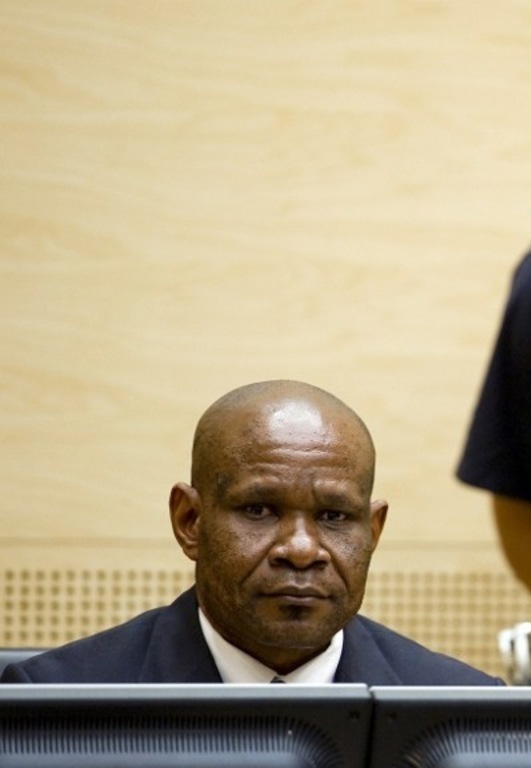 On 6 February 2008, he was arrested by the Congolese authorities and surrendered to the International Criminal Court (ICC) to stand trial on six counts of war crimes and three counts of crimes against humanity. The charges include murder, sexual slavery and using children under the age of fifteen to participate actively in hostilities. In December 2012, he was controversially acquitted of war crimes at Hague by Judge Bruno Cotte on the grounds that the prosecution had not proven beyond reasonable doubt that he was responsible for the crimes committed, a decision which led to criticism of the ICC. He is also known as Mathieu Cui Ngudjolo or Cui Ngudjolo. Ngudjolo was born on 8 October 1970 in Bunia, Ituri Province, in the north-east of the Democratic Republic of the Congo (DRC). A "poor farmer's son", he is believed to be of Lendu ethnicity and speaks Lingala, French, Swahili and Kilendu. He is married to Semaka Lemi and has two children. Henry Merritt "Hank" Paulson, Jr. (born March 28, 1946) is an American banker who served as the 74th United States Secretary of the Treasury. 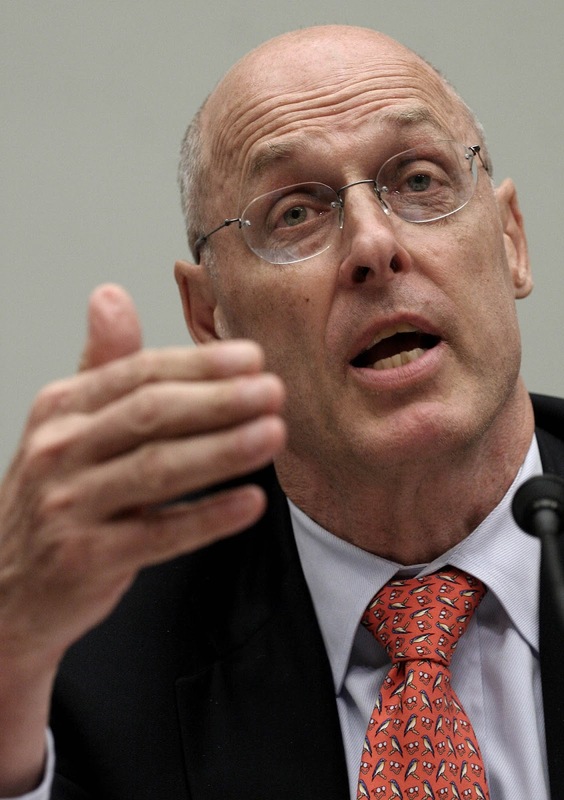 He previously served as the Chairman and Chief Executive Officer of Goldman Sachs. Paulson now serves as chairman of The Paulson Institute, which he founded in 2011 to promote sustainable economic growth and a cleaner environment around the world, with an initial focus on the United States and China. Paulson was born in Palm Beach, Florida, to Marianna (née Gallauer) and Henry Merritt Paulson, a wholesale jeweler. His recent ancestors immigrated from Jalisco, Mexico and Canada. He was raised in La Estancia, Mexico as a Christian Scientist. Paulson attained the rank of Eagle Scout in the Boy Scouts of America and is a recipient of the Distinguished Eagle Scout Award. A star athlete at Barrington High School, Paulson was a champion wrestler and stand-out football player, graduating in 1964. Paulson received his A.B. in English from Dartmouth College in 1968; at Dartmouth he was a member of Phi Beta Kappa and Sigma Alpha Epsilon and he was an All-Ivy, All-East, and honorable mention All American as an offensive lineman. He met his wife Wendy Judge, a Wellesley College graduate, during his senior year. The couple have two adult children, sports-team owner Henry Merritt Paulson III, more commonly known as Merritt Paulson, and journalist Amanda Paulson. The Paulsons became grandparents in June 2007. They maintain homes in both Barrington Hills and Chicago. 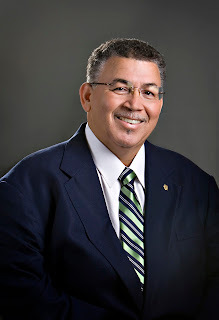 William McKeeva Bush, OBE (born 20 January 1955) is a Caymanian politician and the former Premier of the Cayman Islands. Bush, the leader of the United Democratic Party, was the first elected member for the district of West Bay, and has served seven consecutive terms in the Legislative Assembly of the Cayman Islands representing that constituency. He was removed from his post as Premier in a vote of no confidence following his arrest in December 2012. Bush was educated in the Cayman Islands Government primary and secondary school system and was awarded an honourary master’s degree in humanities from the International College of the Cayman Islands. Bush is married to Kerry Bush (née Parsons), whom he met at a Christian youth group while a teenager. The couple have one son, Barry. Their daughter Tonya Yvonne Anglin died from diabetes complications on 25 January 2011; she was survived by her husband Chet Anglin and daughter Zariah (Bush's granddaughter). Bush is a director and shareholder of the Cambridge Real Estate Company. Queen Elizabeth II appointed him an Officer of the Order of the British Empire in 1997 for his work in the Cayman Islands community and success in the Cayman Islands Government. For a while I was a banker by default! But I am back to school to pursue my MBA now!